Mostly cloudy early, then clearing overnight. Slight chance of a rain shower. Low near 40F. Winds WNW at 10 to 15 mph..
Mostly cloudy early, then clearing overnight. Slight chance of a rain shower. Low near 40F. Winds WNW at 10 to 15 mph. 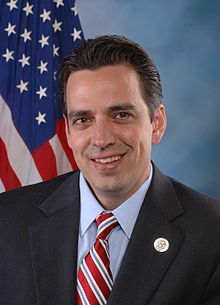 Rep. Tom Graves, R-Ranger, will serve as Republican leader of the bipartisan Select Committee on the Modernization of Congress chaired by Rep. Derek Kilmer, a Washington Democrat. The Northwest Georgia congressman is one of 12 House members appointed to study, investigate and recommend operational efficiencies. “As technology rapidly evolves, it’s important to give every member of the House access to new resources that will help them better serve their constituents," Graves said in a Tuesday announcement. Plans are to look at areas including the chamber's schedule and calendar; leadership development; staff recruitment, diversity and retention; administrative efficiencies in purchasing and travel; and the House Commission on Congressional Mailing Standards. “It’s my goal to ensure this team is able to identify ways to serve the American people more effectively and efficiently while ensuring we also have the tools to recruit and retain top talent," Graves said. The committee was created in a package of House rules changes at the start of the 116th Congress in January. Speaker Nancy Pelosi said the appointees "are pioneers and innovators with proven track records of achievement in making our institution more transparent, unifying and responsive to the needs and aspirations of the American people."